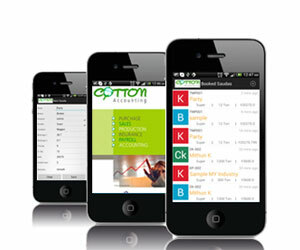 Simple Solutions for Cotton Accounting Apps. 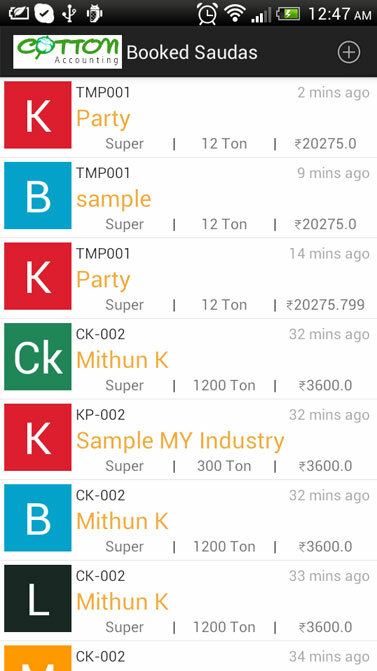 We have developed this app for Cotton ginning Industry. They are facing to track their order which is conform on Mobile. So this apps will Help us to add their Order or Sauda Books on their Mobile . 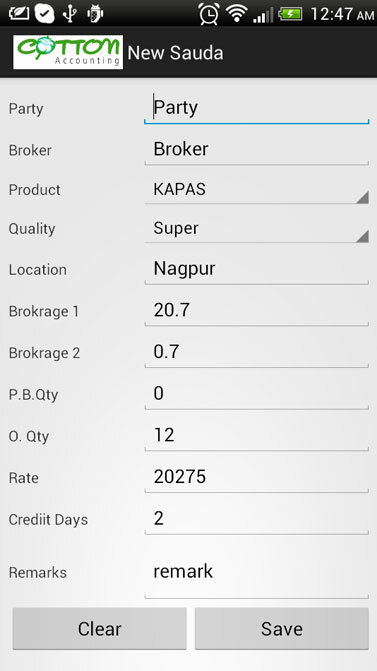 Very few data entry give them a details about their order or Sauda on their Mobile . Option for edit and delete and close sauda to find out later. 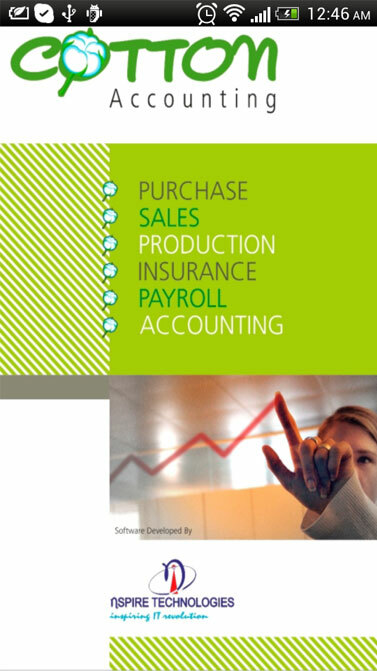 Also incorporate the Insurance History of their Material like Cotton Bases, Kapas, Seeds and their expiry date . SO it will easy to manage before Expiry date. 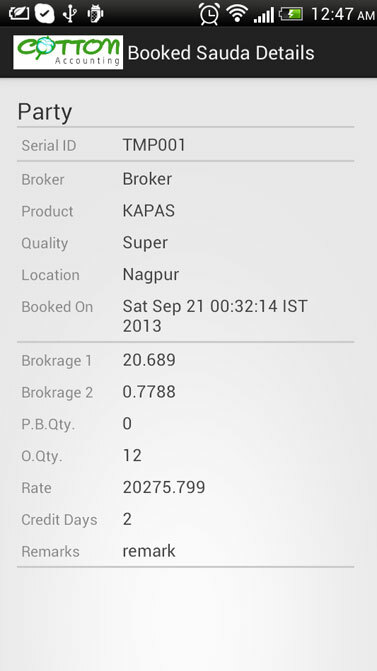 Just have a look and Enjoy the Booking of Sauda and Insurance.